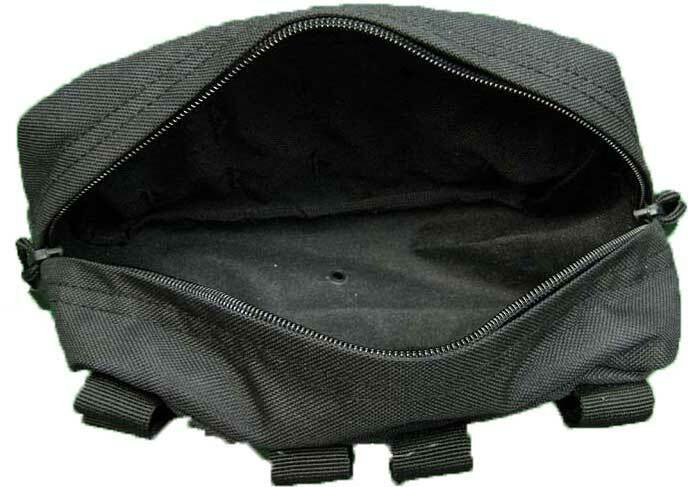 This small single-pocket zipper pouch has multiple attachment options and numerous organizational possibilities. We use these pouches as "Throw and Go" bags in the RE Aid Bag. They serve very well in that capacity with their MOLLE/PALS compatibility, which also makes these an excellent organizational asset when added to any large pack. Rugged yet light weight, this is the sort of versatile item of which you can never have enough. I got four of these pouches for my families BOB's to extend the storage space and allow for easier access to some vital tools/equipment. I was very impressed with the quality of these pouches. They are very well made, using quality materials. I would recommend these to anyone using molle straps for their bug-out-bags. Outstanding little 1st responder pouch. I got 2 of these pouches for a pitch-pouch for multiple casualty situations. Perfect for individual IFAKs from a larger pack. Well built, very versatile, good value. I really like these pouches. I use a pair of them to contain my first aid/trama kit.